Our Multiroom Audio Video Systems allow you to attain the best quality sound and visuals no matter where you are or when you’re there in your home. Even more astoundingly, this all happens with the touch of a button! Multiroom Audio Video Systems are where the world is moving to. They bring you lux, technology and ease. The future is now. You can now integrate all of your music and bring it together – no matter where it is stored. Long gone are the days when you had 500 songs over 4 different devices and you had to swap depending on what you wanted to listen to. With our Collective Music Technology you music will now be integrated. This allows you to listen to whatever you want, wherever you want and whenever you want. Say goodbye to the days when you had to search for your music devices. Your music can be synced to every room in the house. Moving the party to the kitchen? No problem! This is the perfect addition to your home. Whether you want the kids to have some fun, upbeat music in their room whilst you rewind to smooth jazz or you want music running through your entire house – this is what you need. Integration is everything here at Cyberhomes and we are thrilled that we can also bring this to your music system. You can centralise any films you’ve watched for convenient access. Watching tv in the living room and want to retire to your bedroom to finish off your movie? That is absolutely no problem. Our vidoe and TV integration allow you to pause you TV and click play in a different room so you don’t have to miss a second. Even cooler is that you can also watch recorded videos/shows in any TV in the house! This is fantastic for when you need to move rooms, but can’t handle missing out. 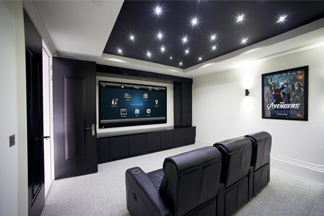 Your smartphone and/or tablet can integrate your audio and video systems to have everything in close proximity. 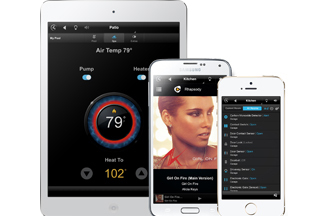 Having one device which integrates your entire system is amazing and allows you to control your house with ease. 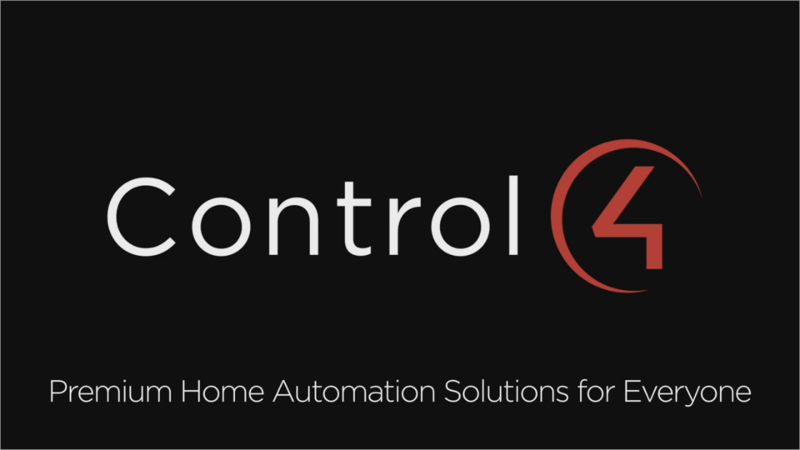 This function allows you to set up any new systems on your device also, which means that you will always be in control. Multiroom Audio Video systems are a modern, practical way to stay on top of everything with as little effort as possible.